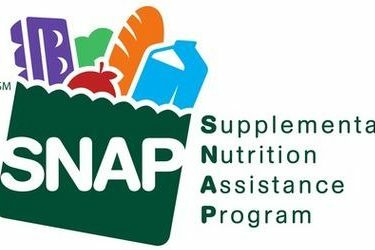 OKLAHOMA CITY – The U.S. Department of Agriculture has instructed the Oklahoma Department of Human Services to issue February SNAP food benefits to eligible recipients by Jan. 20, 2019, even as the partial federal government shutdown continues. “We are working under a critically short deadline to make all of this happen,” said DHS Adult and Family Services Director Patrick Klein. “It is definitely ‘all hands on deck’ to ensure that we provide as much of February benefits as possible by Jan. 20. “SNAP recipients who are already receiving benefits will automatically receive their amounts for February on their EBT cards by Jan. 20,” Klein said. “It is important for our customers to understand, if they receive their benefits early, they will not receive any other SNAP benefits in February so they should budget accordingly. “Once these early benefits are distributed, the USDA plans to use limited SNAP contingency reserve funds to pay for benefits beyond Jan. 20. We have been instructed to continue normal operations, taking and processing applications and will provide benefits until we receive further notification from the USDA,” Klein said. Typical distribution dates for SNAP benefits are staggered on the first, fifth and tenth days each month to prevent temporary shortages of food products and allow retailers time to restock their shelves. Ron Edgmon, President and CEO of the Oklahoma Grocers Association, encourages SNAP recipients to use their benefits as normal and not rush out to grocery stores all at once, even though funds will be available early. The Regional Food Bank of Oklahoma and its more than 300 partners are ready to step in and provide food assistance for SNAP recipients and anyone affected by the shutdown. SNAP recipients who want to check their case status and eligibility are encouraged to go to www.okdhslive.org. SNAP, the Supplemental Nutrition Assistance Program (formerly known as food stamps), is 100 percent federally funded and administered in Oklahoma by DHS. Benefits are loaded onto Electronic Benefit Transfer cards and can only be used at USDA-approved grocery retailers. More than 800,000 Oklahomans received SNAP benefits in SFY 2018. Most are children, seniors and people with disabilities, including disabled veterans. More than $844 million worth of food was purchased in Oklahoma by SNAP customers at more than 3,500 retail grocery outlets statewide, including large retailers and small grocery stores in rural communities.